Please join the Friday night high school chat room with lead writer Todd Holcomb of GHSF Daily. The format has changed, but you’ll find tweets, photos and scores from across the state from writers covering the games. As always, Holcomb will answer any questions you have and will point you toward some of the biggest upsets taking place. To join the conversation click the "make a comment box" below. @slim065: Some games are pay, some not. I'll see if I can get a Lassiter update. Colquitt County 7, Lovejoy 0 ... Lovejoy near midfield starting a drive after 16-yard punt. For the games on the NFHS site, do you have to pay to watch live? Seems like a lot of schools are broadcasting their games online this year, but haven't been able to find many so far that are stramed for free outside of places like CSS. Be sure to check out our high school football photo gallery at ajc.com. We will be updating it throughout the night. Lee County 21, Albany 0 - Since someone asked. @95BCBEAR4Lyfe: How many TDs for Donquell? Burke County 48-0 Donquell Green with another score. @uhgrad90: Me too. Might be Mill Creek's year. They were playing very well at the end of last season. Lost some key guys (RB) but are deep at those positions. St. Pius leads North Oconee 21-10 at the half. Buford 24 - Gainesville 7: Thomas 77yd TD run with 6:02 left in the half. @Chris: #1 Marist. #2 Carver. 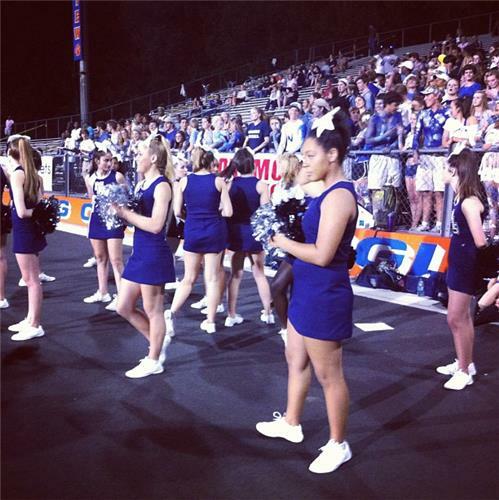 Join the Fri. night HS chat room and find tweets, photos and scores from across the state.